Dyeing fabric in a washing machine has never been easier. 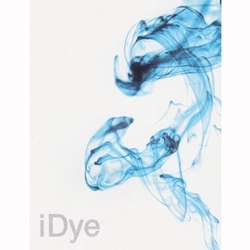 iDye comes in a packet that dissolves in water which means there is no handling of messy dye powders. Just throw the dye packet in, add salt and run through the wash cycle. It is the ultimate easy way to get gorgeous color! iDye comes in 38 vibrant colors\xe2\x80\x94 30 colors for 100% natural fabrics such as cotton, silk, rayon, wool, and linen, and 8 colors for polyesters and nylons. There are also two laundry aids: Color Remover, which will remove or lighten a color and brighten whites; and Sun Blocker, which when added to the wash cycle will penetrate clothing and will block harmful UV rays from the sun. The iDye packets come in 14 gram packages and will dye 2 to 3 pounds of fabric.